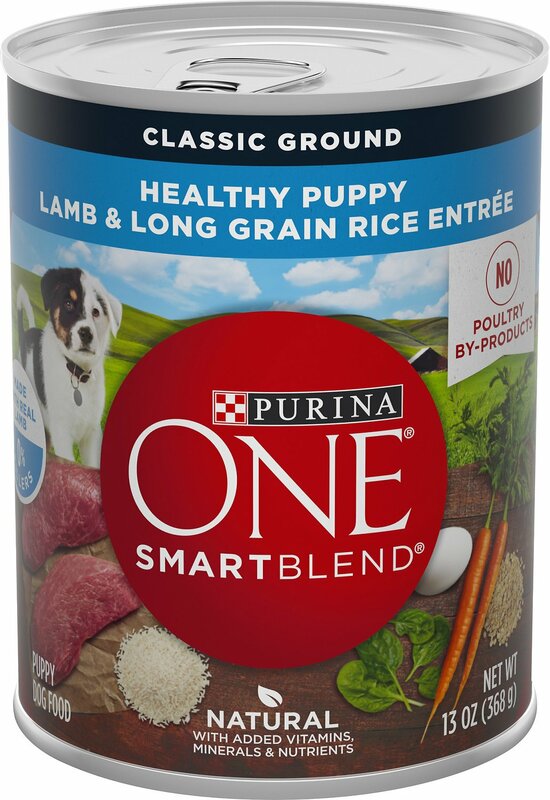 Feed your new BFF's natural cravings for meat when you fill his bowl with Purina ONE SmartBlend Healthy Puppy. This intelligent recipe blends lamb, long grain rice and oat meal to create a delicious dinner he'll love to eat. 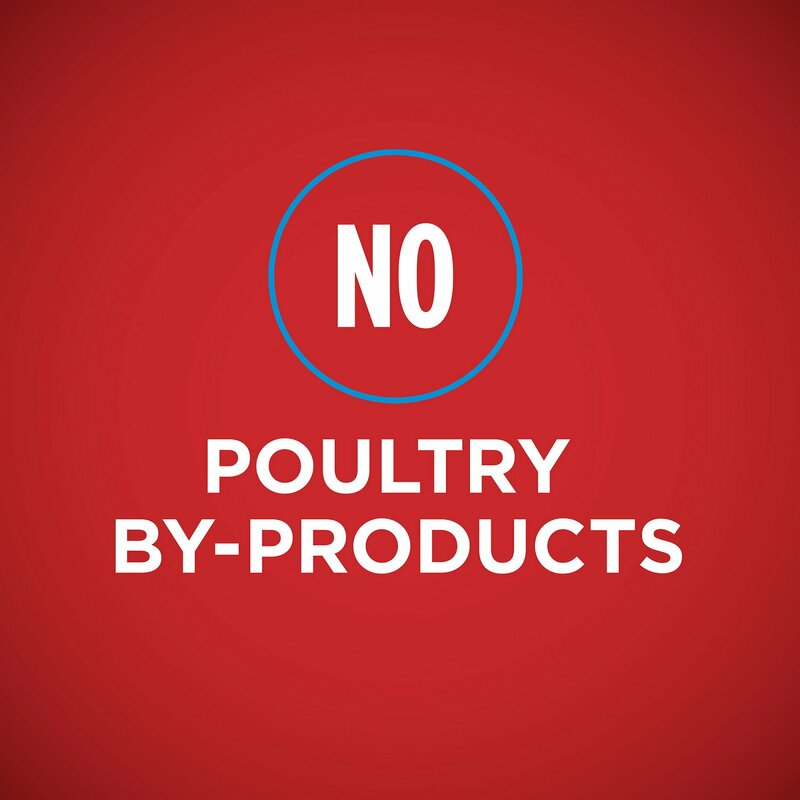 And you'll love nourishing your new buddy's tummy without using fillers or poultry by-products. With an elevated level of protein in each meal, Purina ONE supports your growing puppy's muscles so he can pursue his playful activities every day, while omega fatty acids help support his healthy skin and coat. It's a nutritious meal made especially for growing puppies, so you can support a lifetime of health with his first steps. Features real lamb for the meat-first flavor puppies crave. 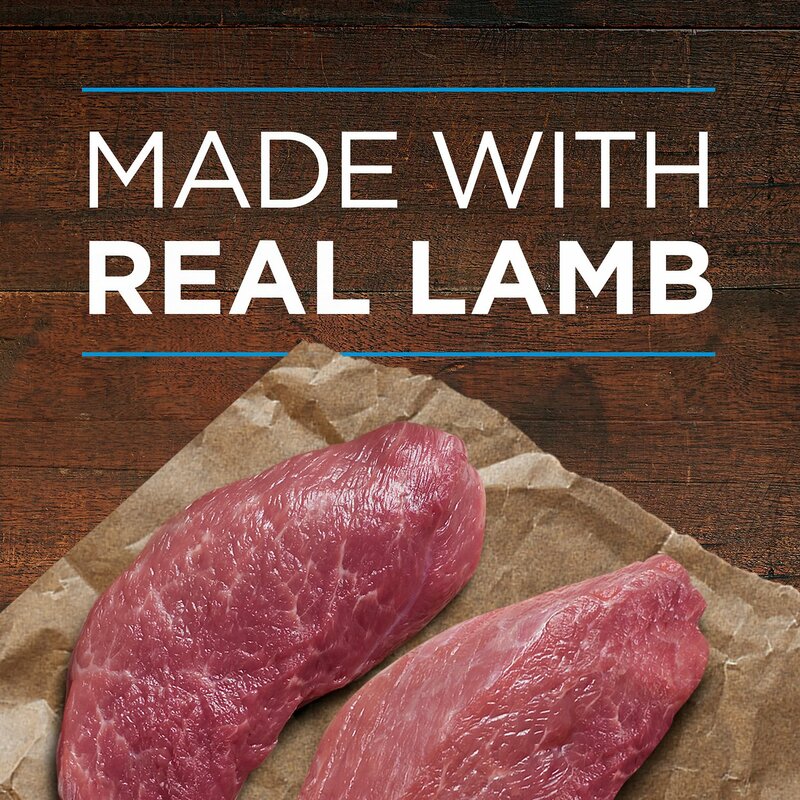 Made without poultry by-products—just real lamb and chicken. Boosted with omega fatty acids to help support his healthy skin and coat from day one. Added vitamins, minerals and antioxidants help to support a strong immune system. Includes quality ingredients chosen for a purpose, and absolutely no fillers. Although you'll be anxious to see the difference Purina ONE can make in your dog, please allow 7 - 10 days to ease the transition from your dog's current food. Each day, simply feed a little less of the previous food and a little more Purina ONE until you're feeding Purina ONE exclusively. This gradual transition will help avoid dietary upsets. 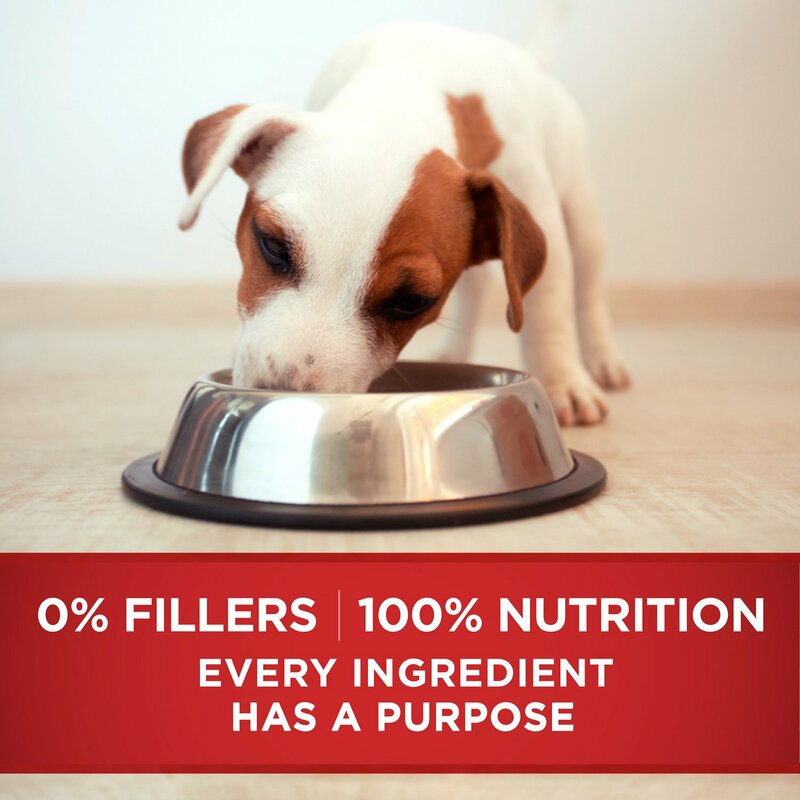 We feed our puppy a combination of Purina Pro Plan and One products. Unfortunately, our puppy did not like this food. It smells like tuna, which makes sense because it does list fish in the ingredients. However, the food was extremely high quality. 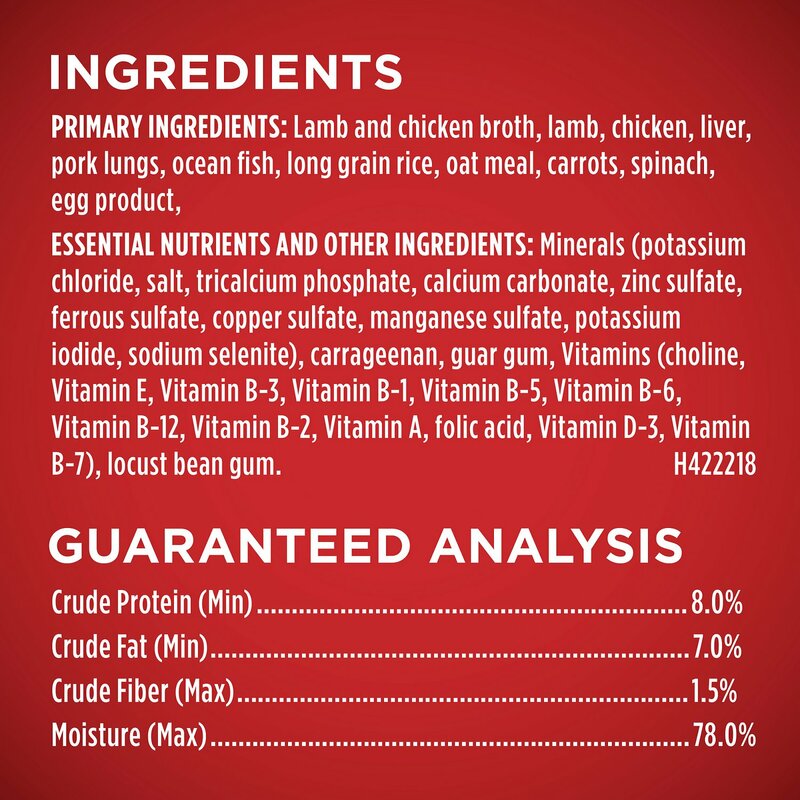 The ingredients are simple and contain multiple protein sources. I wish our pup would have liked it, but I have found out that he is not a fan of fish. My very picky German Shepherd loved the taste of this food however something in it is giving her diarrhea even after a gradual switch. It has been almost a month and still nasty stools so we are going to have to find another can food to mix with her kibble. My pup does have a sensitive tummy though so I would still rate it a 4 star food. No more gas or upset stomach! We tried Pro Plan foods that are supposedly better than Purina One when it comes to nutritional values but our puppy got an upset stomach from them and we decided to switch to this. He absolutely loves this canned food and his stomach settled down immediately! It doesn't smell bad, it's fairly easy to mix in kibble and our puppy hasn't gotten tired of it yet. I foster for a group that gets puppies in quite often. Purina One for puppies has been a great source of food for my babies. They are flourishing! I am very pleased with this wet food. Always used with dry and Takoda loves it too.